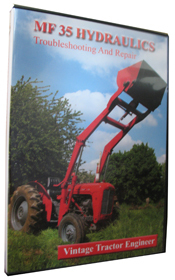 Patrick has picked up a copy of the TE 20 Hydraulics Tutorial and used the DVD to take a look inside his tractor and examine the system. The TE20 in question will only lift a small weight on the rear linkage, and then only when the engine is running at high revs. Patrick has inspected the pump components and (with the help of the DVD) concluded that everything is in reasonable condition. However, he did notice that there were neither o’rings or gaskets fitted between the pump body and the valve blocks (as shown in the film). This is likely to be the cause of the lack of pressure in the system. Also Patrick should take a look at where the lift cylinder joins the top cover, as there should also be gaskets at this point. 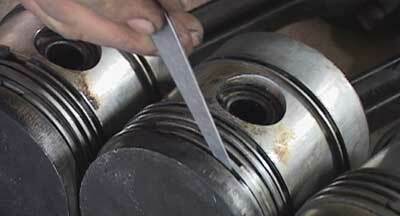 Many thanks for the T20 Hydraulics Video – Very well put together. I bought it because my T20 hydraulics are under-performing. I wonder if you might be able to give me a bit of advice? It was restored and rebuilt by the students at Bicton Agricultural College as part of their engineering course. It is pretty much in excellent condition, but the links will not lift anything much above the weight of a man (not my cutter bar mover for example), and even then only if the engine is at full revs. As soon as the revs drop or the engine is switched off, the links start to fall. I have had a good look through, pulled the pump out and most things seem to be in good nick. No movement on the bushes etc. The one thing that I did notice is that, although the pump has an oscillator fork, there is no oscillator drive strip…. I think it is otherwise an old style pump – it has the old style combined relief valve and does not have spaces for o rings on the valve chambers suggesting it is the gasket type. Would the lack of an oscillator drive strip cause any real problems apart from making it more likely that the control valve will stick? The relief valve looks like it is in good shape, and so I am not sure that is the cause of the links dropping…. The only thing I can see that might be causing it is the fact that they didn’t put any gaskets between the valve chambers and the body of the pump. As it doesn’t have o rings (or space for them) either, would this be enough to let the linkage drop? Steve, you’re right. it is missing the gaskets between the top cover and lift cylinder too…. I’ll get a new set. The DVD is relevant to that model. 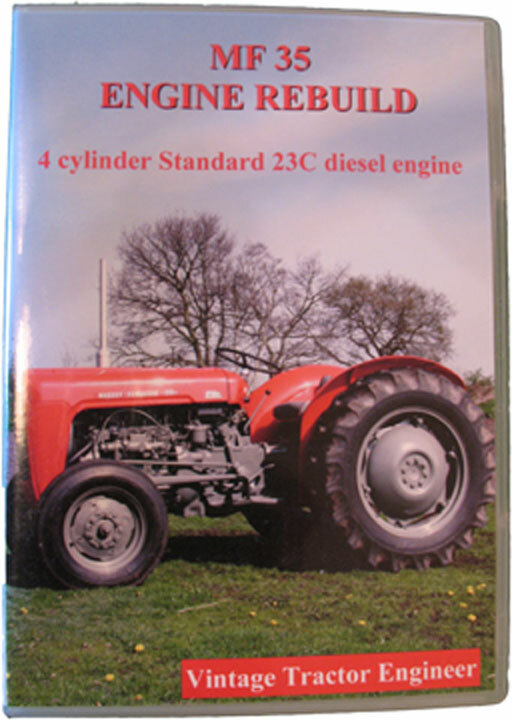 The DVD was actually filmed on a TEF20 (diesel engine variant), but the hydraulic system is the same on the TEA (petrol) version. The shopping cart uses Paypal, but there is an option to pay with credit/debit card for those people who don’t have a Paypal account. price in dollars thanks very much. Must have good wheeled jacks on good concrete floor to pull front and rear apart for access. Not really difficult but need care and good equipment and a helper. I’ve been recently fiddling with a Massey ferguson TEF 20 it hadn’t been run properly in about 17 years ishh. there are fue things that are wrong with it although I’m not to sure what would have been the cause, firstly the clutch is really jumpy even when I lift my foot off slowly and I can’t think of what I could be doing that.